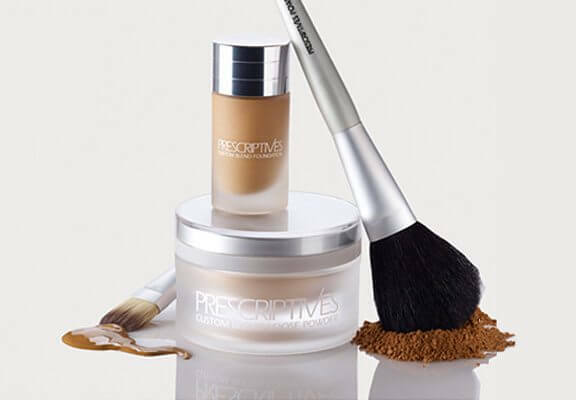 If you are one of those women who are at wit’s on the subject of a foundation that truly matches their complexion, Prescriptives has the perfect solution! Long known for their Custom Blend foundations, this iconic brand shuttered in 2010, leading to a universal gasp from beleaguered women. But now its back – via the webcam. Beauty guru Nikki Galante, who has been working with Prescriptives for 8 years, has spearheaded an innovative and incredibly customer-friendly webcam experience that allows you to book an online session from anywhere in the world (at no extra cost), where you speak with a Prescriptives ‘Beauty Genius’ to create a custom-made foundation that’s literally hand-tweaked to your unique needs and desires. Want hydration? They can mix in a “breathable hyaluronic acid”. Looking for dewiness? You can choose between a base that’s luminescent and one that’s sheer. And that’s far from all… the options just keep on rolling till you get the perfect fit, not only in terms of colour but also skin type, coverage, climate etc etc etc. Plus, you can ask the Beauty Genius your questions, learn how to apply foundation and get makeup tips. Once the perfect formula is determined, the foundation is whipped up and shipped to you right at home. And the service doesn’t end there: Once created, the formula is kept in the Prescriptives database forever and you can tweak it according to seasonal changes (want it to be a little rosier for summer? Or extra-moisturising for winter?). And it doesn’t even cost the earth – the Custom Blend Foundation costs US$65, while the Custom Blend Powder clocks in at US$48.